On 20th January, Year 11 student, Alex Radcliffe, was given the honour of captaining Devon for a country rugby fixture vs Gloucester. 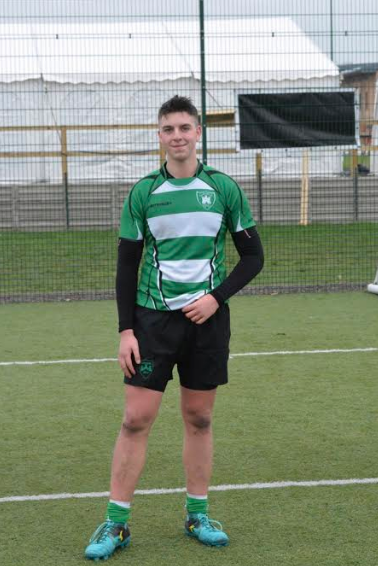 Alex plays rugby regularly for Paignton RFC U16s and, back in October 2018, Paignton Academy nominated him for the county trials, where approximately 200 students were cut down to a final 40. His first taste of playing for Devon came against Somerset, where Devon narrowly lost 17-19. However, he was then offered the captaincy for Devon’s next fixture against Gloucester. By his own admission, Alex had some concerns about accepting such responsibility as he was worried the pressure may affect his game. Nonetheless, he took the role in his stride and put in an exceptional performance to lead Devon to a 29-19 victory. After the match Alex exchanged ties with the Gloucester captain and was quoted as saying “No matter what, rugby is always the real winner”. Radcliffe’s attention now turns to Paignton RFC, who have reached the semi-final of the Fisherman’s cup, a feat achieved only once before in their illustrious history. Despite all of his efforts on the pitch and his ambitions to play rugby at the highest level, Alex has stated that he will always put his education first as he studies for his exams before, hopefully, securing a place at Torquay Boys’ Grammar School.